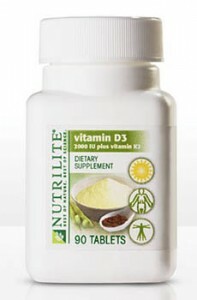 There are 3 main sources of vitamin D and there are covered on the Sources of Vitamin D overview page. As research concerning Vitamin D is ongoing there is also a number of articles categorized in the “Sources of Vitamin D” category in the blog that will contain more specific information on the topic. She had been sick for almost 3 months now and it was time for a 4th trip to the doctor’s office. She got sick much more often than most people, but this cold was different. It just got worse and wouldn’t go away. This cold was brought on by a trip to a very dry part of Colorado in the month of October that caused dried & cracked sinuses making her susceptible to some local contagion. After 2 rounds of antibiotics and an inhalers to reduce inflammation in her lungs from bronchitis she was feeling only a little better. We were surprised to hear that the diagnosis on this 4th trip was WALKING PNEUMONIA! Here we thought she was getting better and it seemed like such a step backwards. A second blood test revealed again that her vitamin d levels were “somewhat low,” but the doctor said that low vitamin d levels are normal in most people.. The doctor prescribed a 3rd round of antibiotics and an additional inhaler AND also instructed her to supplement with vitamin D as well as some pro-biotics due to concerns that all the anti-biotics were starting to actually weaken her immune system by killing all the “good” bacteria in her system. She also decided it would be best to take 2 weeks off from work to rest which was around Christmas time. We bought the best pro-biotic and vitamin D3 supplement we could find and prepared for a restful holiday. She is my fiance and I watched her struggle daily with this for months. I took care of her the best that I could during the evenings and all the other days she took off from work before Christmas. A day or 2 into our Christmas staycation we heard on the news that Brittany Murphy died from regular pneumonia, anemia and multiple drug intoxications. We immediately thought about all the prescription drugs she was taking and went to the internet to research her symptoms, drugs and supplements. We trust our doctors, but we wanted to understand more and take control. One thing we discovered on the net is that some doctors have evidence to suggest there is a vitamin d deficiency pandemic in the United States and the world. The evidence doctors have uncovered suggests that vitamin d deficiency causes many many ailments including a weak immune system which can cause an individual to catch many more colds than a regular person. After our research she resolved to take the supplements regularly and that there would be no more antibiotics and that she would only use the inhaler when absolutely necessary. Thankfully she did start to recover slowly, but not until about 2 or 3 weeks after the final round of antibiotics. She still had frequent fevers even after she started to feel much better and we used her fevers as a gauge for when it was time to slow down, rest and stay home. She is doing much much better now. Since she has recovered she has only been sick once. Never has she been able to go so long without catching a cold. We attribute this to all of the supplements we have started taking since this experience ESPECIALLY vitamin D.
I have started this site and a couple other sites to help people get quick and accurate information on vitamin D deficiency and help to increase awareness about the pandemic. There are so many conditions believed to be caused by low vitamin d that there is a TON of information on the internet, but almost none of it is organized very well in one place in a way that truely helps people. The goal of these sites is to touch as many people as possible with the information relevant to their life. We have changed our names to protect our privacy and to protect against unwanted fame or attention. We don’t want to get famous we simply want to develop the most simple to use and understandable resource on the internet to help people understand vitamin D deficiency and what they can do about it!